At Northeast Florida Foot & Ankle, our goal is to help patients achieve the best medical care for their feet, ankles and legs. Because it isn’t just your feet doing all the work. Your lower extremities are key to comfortable mobility and a healthy, active lifestyle. 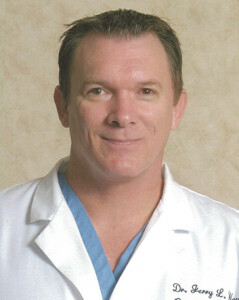 Dr. Jerry Weed brings years of clinical experience and a attention to care to his state-of-the-art practices. A Podiatrist is a medical doctor who specializes in the prevention, diagnosis, and treatment of disorders, diseases and injuries of the foot ankle and leg. They can perform surgery and undergo four years of medical training with an additional three years of hospital residency. Podiatrists can detect serious health problems that could often go unnoticed, because a number of diseases show first through symptoms of the lower extremities such as diabetes, arthritis, heart disease or kidney disease. They also may specialize in wound care, sports injuries, diabetic care and treat children. Dr. Jerry Weed has over a decade of clinical experience handling all facets of Podiatric care including surgical cases and treatment of children. Dr. Weed was born and raised in Charleston, South Carolina. He received his B.S. in mechanical engineering from Clemson University, and worked for the US Navy as a nuclear design engineer for several years before returning to school for his medical degree. He earned his medical degree from Barry University in Miami, FL with honors, as well as a concurrent Master of Science in biomedical sciences. Dr. Weed completed his 3 year residency training in pediatric medicine and reconstructive foot and ankle surgery at Cedars Medical Center in Miami, FL. During his medical education, Dr. Weed served as the president of the American Podiatric Medical Student Association as well as the APMSA delegate from his class. He is the recipient of the American College of Foot and Ankle Surgeons Residency Forum Lecture Award and has lectured on numerous surgical topics at Barry University and various seminars. He also received the Outstanding Service in Community Podiatric Medicine and barry University Excellence in Podiatric Surgery awards. Dr. Weed has had extensive training in foot and ankle surgery including diabetic charcot deformity reconstruction, and athletic injuries. He has worked with prep, collegiate and professional athletes using surgical and non-surgical treatments. He has also had comprehensive wound care residency training and post residency hyperbaric oxygen therapy. Dr. Weed is on staff at Flagler Hospital, Orange Park Medical Center where he performs bone and joint surgery and is available for consultations and emergency care. He also has a regular weekly wound clinic at the Northeast Florida Center for Wound Care at Orange Park Medical Center.